Mitsubishi Heavy Industries, the manufacturer of Mitsubishi Regional Jet (MRJ), might delay the first delivery of the aircraft to the launch customer, All Nippon Airways (ANA), due to technical modifications to the airplane. MRJ was supposed to be delivered in mid-2018, but the deadline might get an extension. Mitsubishi’s spokesperson confirmed that ANA has been notified about the possible delay. However, Mitsubishi did not comment on the length of the delay. Mitsubishi has 427 orders for the aircraft, including 25 from ANA. The MRJ has been in development since 2008 and was scheduled for first delivery in 2013. In the end of September 2016, MRJ successfully performed a test flight to the USA after two failed attempts. 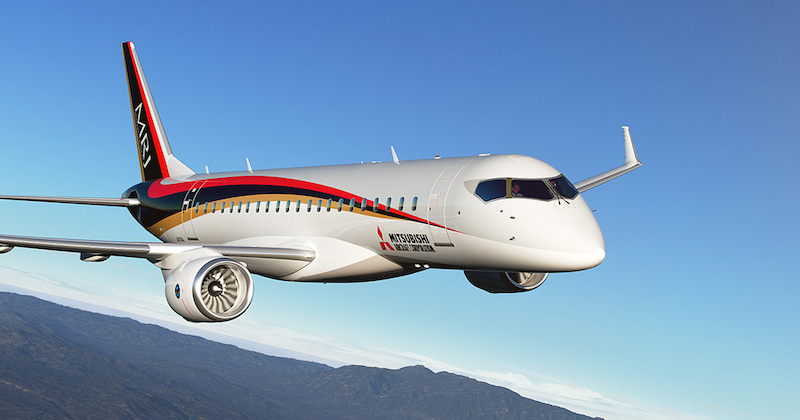 With the MRJ, Mitsubishi plans to compete with Embraer and Bombardier regional jets.